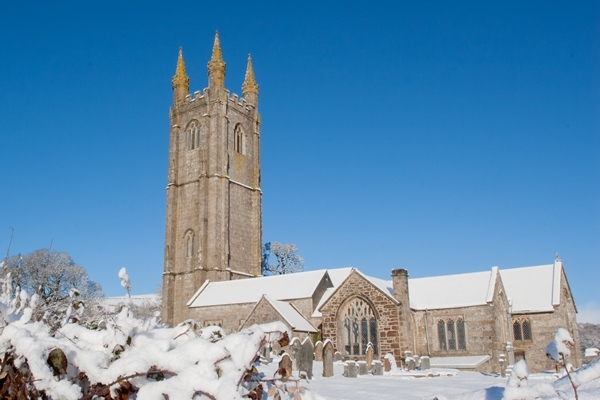 Your first glimpses of the village of Widecombe-in-the-Moor is of a picturesque little hamlet that nestles snuggly between rolling green hills of Devon farmland, with a spectacular backdrop of Dartmoor the granite tors and open moorland. The pretty village of Widecombe-in-the-Moor is renowned for its September Fair with Bill Brewer, Peter Gurney, and Uncle Tom Cobley and all. To read the well-known folksong 'Widecombe Fair' click here!! 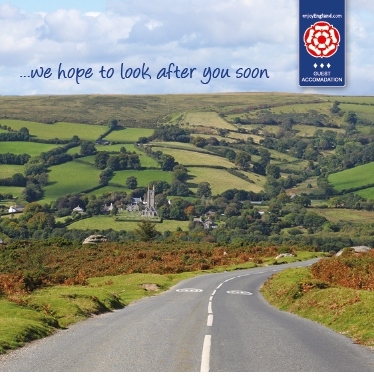 Widecombe Fair is always held on the 2nd Tuesday in September. The church of St Pancras is aptly named the 'Cathedral of the Moors'. The church spire is a well known local landmark, visible for many miles. The church was originally built in the 14th century, and enlarged over the following two centuries, partly on the proceeds of the local tin mining trade. Next to the churchyard is Church House built in 1537 as a brew house for the production of church ales. Church House is now managed by the National Trust, having been a brew house, school house and alms house at various times in its history.